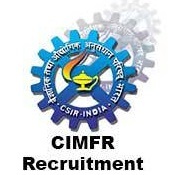 CSIR-CIMFR Jobs Recruitment Notification 2018.CSIR-Central Institute of Mining and Fuel Research (CIMFR), Dhanbad inviting applications for the positions of Project Assistant Level I AND II in CIMFR, Bilaspur, Chhattisgarh. Interested and Eligible candidates can apply for the positions. Total number of vacancies to be filled by CSIR-CIMFR is 67 posts. Applicants must be completed B.Sc in Geology, chemistry, physics, 3 years diploma in computer science engineering and M.Sc with relevant fields. From the recognized organization / University. Applicants age limit for project assistant level-I is 28 years and for Project assistant level-II is 30 years. Selected candidates will get pay per Project Assistant Level-I is Rs.15,000/-. And Project Assistant Level-II is Rs.25,000/-. Per month. Applicants can attend the interview along with relevant documents to attend the interview on scheduled interview dates. 27th,28th,29th & 30th September 2018.